If you are planning to celebrate something special in Lomita, California, then Lomita limousine service by ULC is your ultimate choice. Our impeccable service standards with some of the most competitive prices in the city, makes our Lomita limo service, the best you will find. We believe in quality and our Lomita limo rental is based on the principal of high quality service to each and every customer. All of us dream of making the special days of our life memorable, from weddings, graduation celebrations to parties, limousines are always the most popular choice to make these occasions even more unique. We at ULC work really hard to provide our esteemed clients a hassle-free, worry-free, cost-effective Lomita limo service that strives to make your journey a comfortable and memorable one. From birthdays, weddings, proms to airport commute, funerals, celebrations, concert etc, our service and extensive range of Lomita limos takes the stress out of your plans. Whether you’re someone who likes to plan way ahead, or you’re looking for last minute reservations, ULC Lomita Limos are always at your service. 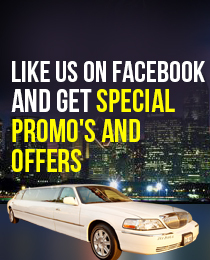 Which Lomita Limo is Right For You?